Fred Savage is headed to ABC. Today, the network announced the Grinder star will host a new series called Child Support. A premiere date has not yet been announced for Child Support. 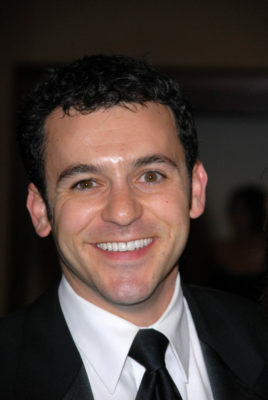 Fred Savage will host the new, high-stakes game show series “Child Support” on ABC. The one-hour, studio-based series will feature adult contestants and priceless interactions between funny man Ricky Gervais and a group of five kids, ages 6-9 years old, who say the most unpredictable things. Contestants are asked to answer 10 questions correctly to earn the top prize. If they answer incorrectly, the contestants have a chance to be saved by the five kids who have been asked the same question by Gervais. A premiere date has not yet been announced. What do you think? Are you a fan of Fred Savage? Will you watch Child Support? More about: ABC TV shows: canceled or renewed?, Child Support, Child Support: canceled or renewed? I love this gameshow! Haven’t seen anything as funny as this since Art Linkletter in Kids Say The Darndest Things. Pairing the kids w Ricky Gervais is perfect. And who doesn’t love Fred Savage. Copycat Kids Say The Darnest Things, ABC come up with something scripted not reality garbage.